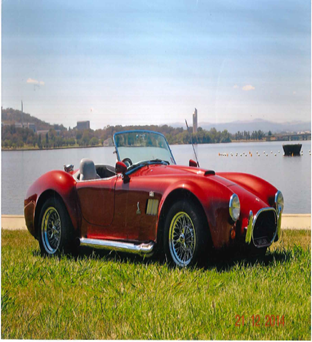 ACT Policing is appealing for witnesses to a burglary in Palmerston where a distinctive ‘AC Cobra’ motor vehicle was stolen. Sometime between 9.30am yesterday (Saturday, January 17) and 1.30am this morning (Sunday, January 18), a distinct red ‘AC Cobra’ was stolen from an address in Palmerston. Police are appealing for anyone who saw any suspicious activity during this time in Palmerston and may be able to assist the investigation to contact Crime Stoppers on 1800 333 000 or via www.act.crimestoppers.com.au.